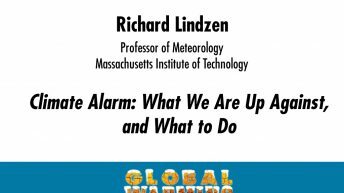 Richard S. Lindzen has been Alfred P. Sloan Professor of Meteorology at the Massachusetts Institute of Technology since 1983. He holds degrees in physics and applied mathematics. He was a postdoctoral fellow at the University of Washington and University of Oslo and was a research scientist at the National Center for Atmospheric Research. 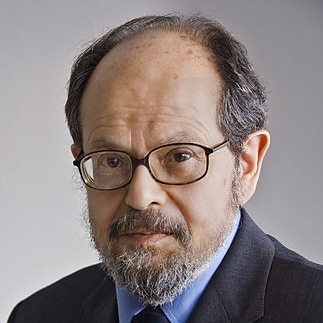 He taught at the University of Chicago before moving to Harvard University, where he held the Burden Chair in dynamic meteorology and served as director of the Center for Earth and Planetary Physics. 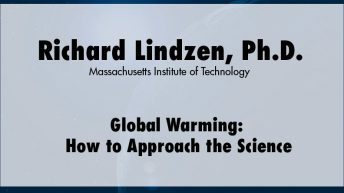 Lindzen is a member of the National Academy of Sciences and the Norwegian Academy of Science and Letters, and a fellow of the American Academy of Arts and Sciences, American Geophysical Union, American Association for the Advancement of Science, and American Meteorological Society. 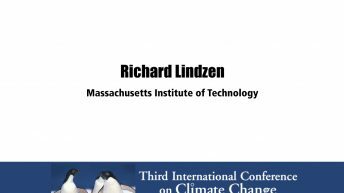 He is a recipient of the Macelwane medal of the American Geophysical Union, and of the Meisinger and Charney Awards of the American Meteorological Society. His current research is on the climate sensitivity of the Earth to radiative forcing, on the factors that determine the equator-to-pole temperature differences, and on the nature and role of clouds and convection in the atmosphere.